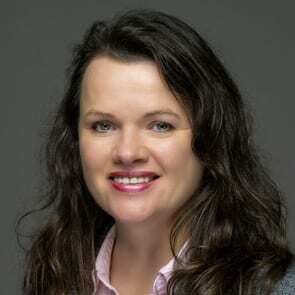 Jacqui Ferguson is an experienced CEO from the technology industry. Jacqui is the former CEO of Hewlett Packard Enterprise Services UK, Ireland, Middle East Mediterranean and Africa, a $3bn P&L and 10,000 people business serving large corporate and mid-sized companies with transformational digital, technology and business process solutions. Jacqui has extensive global experience including living and working in Silicon Valley, California for 3 years with Meg Whitman, Chairman and CEO Hewlett Packard as Chief of Staff focused on a new company strategy and transformation. Prior to Hewlett Packard she worked for Electronic Data Systems, acquired by HP in 2008 and KPMG. Jacqui is Non-Executive Director Wood PLC, Tesco Bank and Croda PLC. In 2018 she was nominated for and won the NED to watch award in honour of Dame Helen Alexander in the Sunday times NED Awards for her contribution as a NED. Jacqui is a Trustee of Engineering UK, a not for profit organisation focussed on driving more Engineering and Technology Skills in the UK and member of the Scottish First Ministers Advisory Board for Women and Girls aimed at tackling Gender Equality. Jacqui is passionate about what technology can enable, getting young people interested in STEM and advancing more women into executive careers.Jacqui chaired the public services strategy board for the Confederation of Business and Industry and was a member of the Tech Partnership, the industry body aimed at UK technology skills. Jacqui chaired the public services strategy board for the Confederation of Business and Industry and was a member of the Tech Partnership, the industry body aimed at UK technology skills. Jacqui is passionate about what technology can enable, getting girls interested in STEM and advancing more women into executive careers.